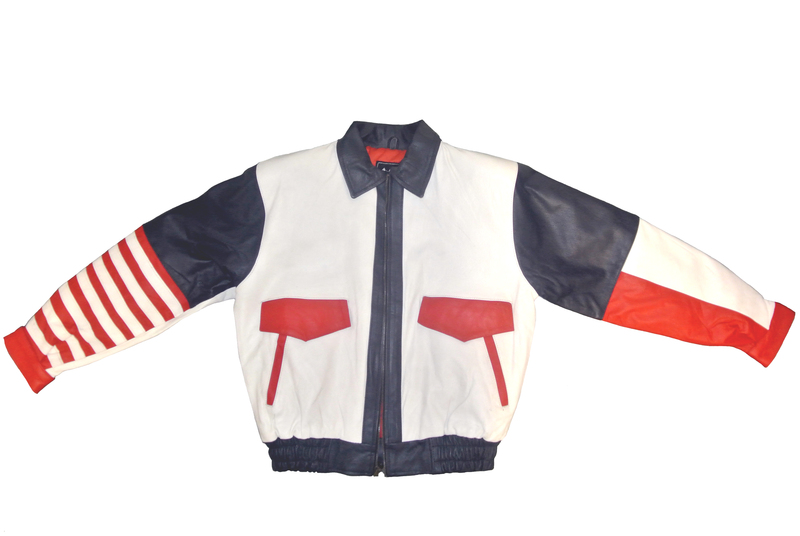 Two Flag Bomber Jacket in red, white and blue. Soft, supple goat leather. 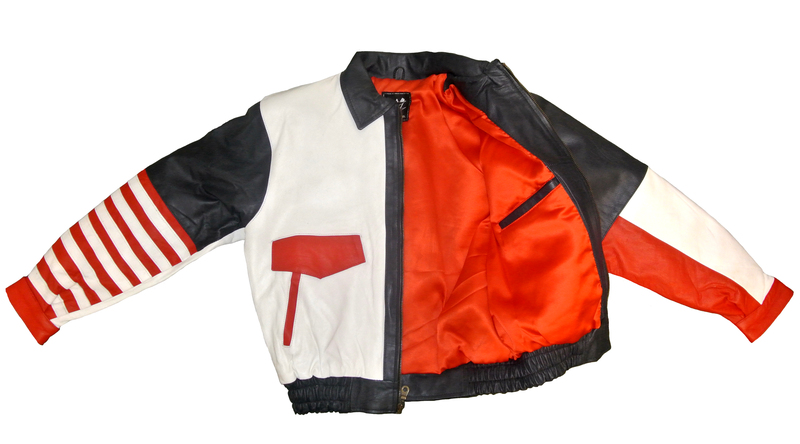 One inside and two outside pockets, elastic waist and leather cuffs. 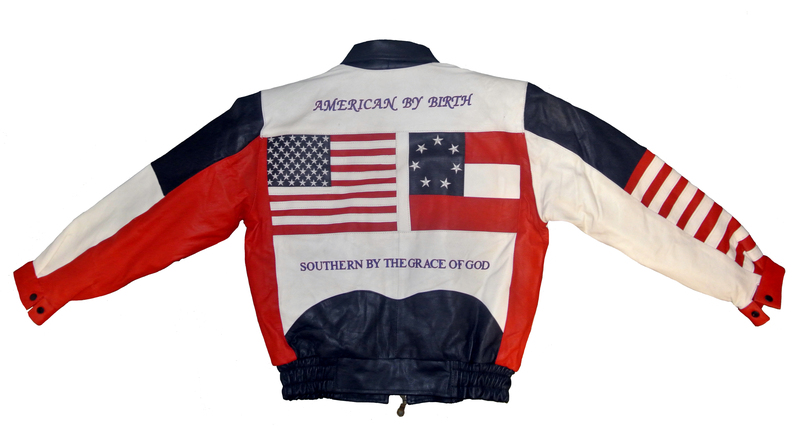 The jacket back has the American flag and the First National Confederate Flag and the words American By Birth Southern by the Grace of God. A Zack White Exclusive, exceptional quality. CLEARANCE SALE! ORIGINAL PRICE $239.95 This item is a non returnable item as it is a close out.